i'm sorry for being lame. i promise to be back to regular blogging style next week, because i'm determined to make an apartment decision by sunday. it will be done. i have appointments to see places friday, saturday and sunday. 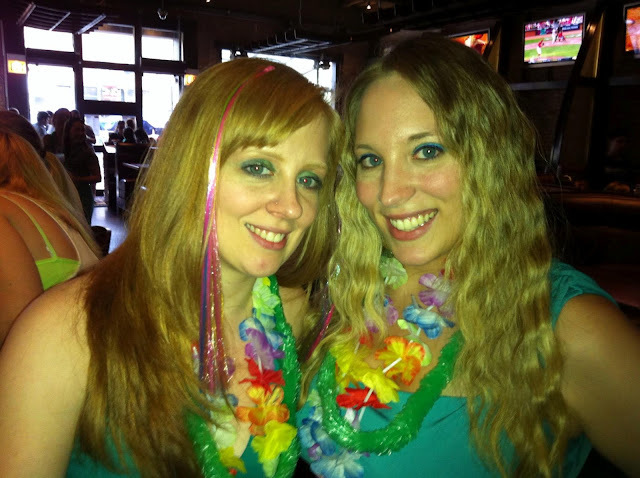 until then, enjoy some photos of tara and i at last year's 'everybody gets leis' bar crawl. enjoy my mermaid hair. you're never too old for a hair crimper. Awww Hawkeye! You look gorgeous - love your hair! Hope the apartment hunting is going well! Good luck deciding on a place to live. Glad you got your sh*t together... I mean... your stuff well-organized... packing should be a lot easier! Loving the mermaid hair..you rock it very well! I mean...can you ever be wrong with mermaid hair? Good luck with the apartment hunting! 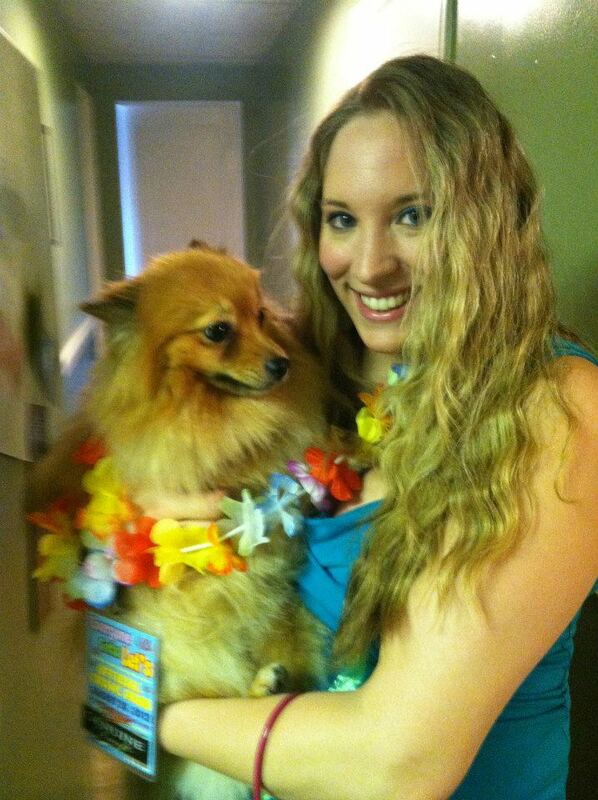 Hawkeye says hey, no lei. Wavy hair looks good on you!! I wish I was a mermaid in real life. Aww that's a very cute look! love it! O my gosh..poor hawkeye will just have to get use to it lol I think it looks great! Bahahahaha...Hawkeye's face is PRICELESS!!! She is saying "BISH put me down and get that ridiculous thing off my neck"